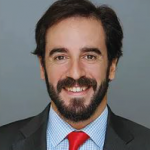 Leo Campuzano is a Spanish Tax Lawyer focused on Indirect Taxation (VAT, IGIC, IGI and IPSI), Customs & Trade, and Excise Duties. Leo is used to assist multinational and blue-chip deemed in international trading activities of various business sectors such pharmaceutical, alcoholic beverages, hydrocarbons, electricity, environmental taxation, etc. Extensive experience in several specific Excise Duties such as: Preparation of advisory reports on excise duties such as hydrocarbons, alcohol, tobacco, coal or electricity, etc. and assistance in the fulfillment of excise duties formal and material obligations (exemptions, distance sales, intra-EU acquisitions in suspensive regime of products subject to excises duties, etc), this includes contacting with the Spanish Excise Duties Authorities on a recurrent basis. Leo regularly speaks at seminars, conferences and training sessions based on Excise Duties. Extensive experience in VAT such as: Supplies of goods and services, VAT exemptions, taxpayer and taxable base determination, etc.